TNB Chief Corporate Officer, Datuk Wira Roslan Ab Rahman (left) received the Brand of the Year Award, from World Branding Forum Chairman, Richard Rowles at Kensington Palace, London recently. KUALA LUMPUR: Tenaga Nasional Bhd (TNB) has won “Brand of the Year” award for 2018-2019, under the power category of the national winners for Malaysia, at the prestigious World Branding Awards. 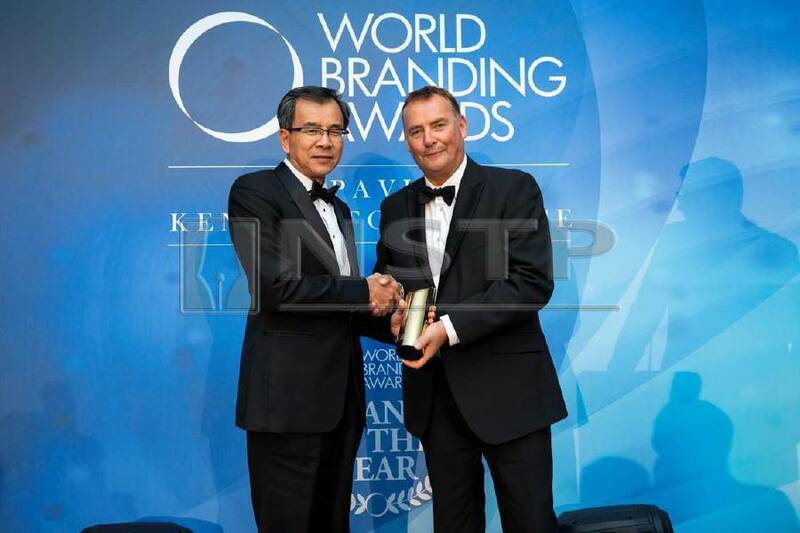 TNB chief corporate officer Datuk Wira Roslan Ab Rahman received the award from World Branding Forum chairman Richard Rowles at Kensington Palace, London recently. “The award is a testament to the dedication and commitment of 35,000 employees who work hard in building and growing our brand. “The award will drive us to to work harder to strengthen the brand through the provision of the best customer and brand experience,” said Roslan. Roslan said as the national electric utility corporation that has served Malaysians for 69 years, TNB is committed to create a “Better. Brighter.” future for the nation and its people.